Hamburg, 3 May 2016. Stibo Systems, a market-leading provider of Master Data Management (MDM) solutions, will install its STEP MDM solution in Globus hypermarkets across Germany. Founded around 190 years ago, Saarland-based Globus currently operates 46 hypermarkets in Germany, plus a further 26 in Russia and the Czech Republic. The installation is a joint effort between Stibo Systems and its partner, foryouandyourcustomers. Globus has chosen the platform to provide its customers with the most relevant possible information. The aim is to create a more positive shopping experience in-store, online and through printed sales literature. One of the first stages involves making it easier to realise the desired additional benefits for the customer. This means leveraging new and existing communications channels such as mobile apps and brochures more quickly, and also providing more personalised, regularly updated content. Founded in 1828 in the Saarland town of St. Wendel, Globus is an independent, family-owned company that’s one of the leading retailers in Germany. 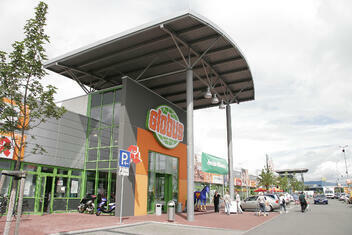 Today, the Globus group consists of 46 hypermarkets, 88 home improvement stores, seven ALPHATECC. consumer electronics stores, Globus Drive, fridel markt & restaurant, two home improvement stores in Luxembourg and 26 hypermarkets across Russia and the Czech Republic. The group’s combined turnover is approximately €7 billion. It owes its success in large part to approximately 43,700 employees on its payroll: around 18,800 work in hypermarkets across Germany and more than 8,400 in Globus home improvement stores. Entrepreneurial spirit is at the heart of the company and with this in mind, Globus gives its staff the freedom to work autonomously and take responsibility on the shop floor. This way, they feel less like employees and more like business partners – a status reinforced by the option to buy shares in the company.